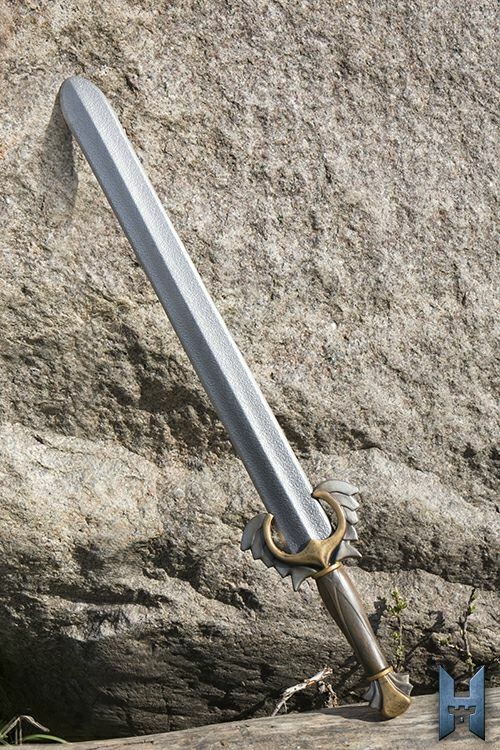 Angelic Sword is a medium sword inspired by the epic tales of clerics and paladins. 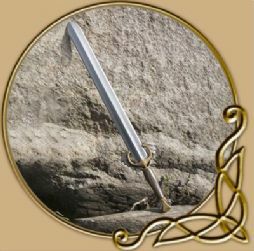 The sword is 76 cm long and has a 57 cm double-edged blade with a central ridge. 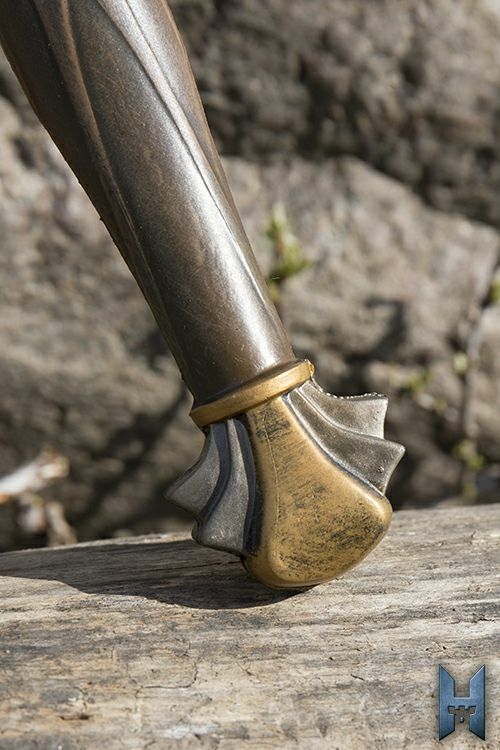 The detailed handle--with its winged crossguard and scent stopper pommel--features a handpainted finish that looks like aged gold. The 11 cm grip is cast and painted to look like wood and is ergonomically shaped, allowing for comfort and an impressive appearance. Stronghold weapons are foam weapons designed for tough combat at LARPs. 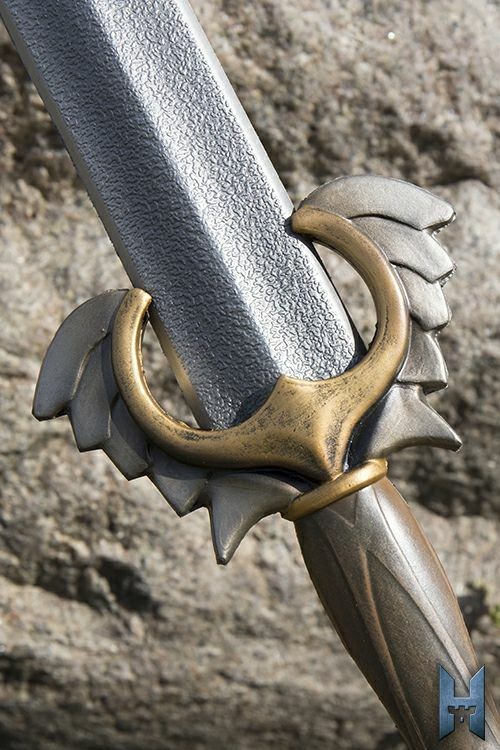 They require little or no maintenance, unlike latex weapons, and feature detailed polyurethane handles. 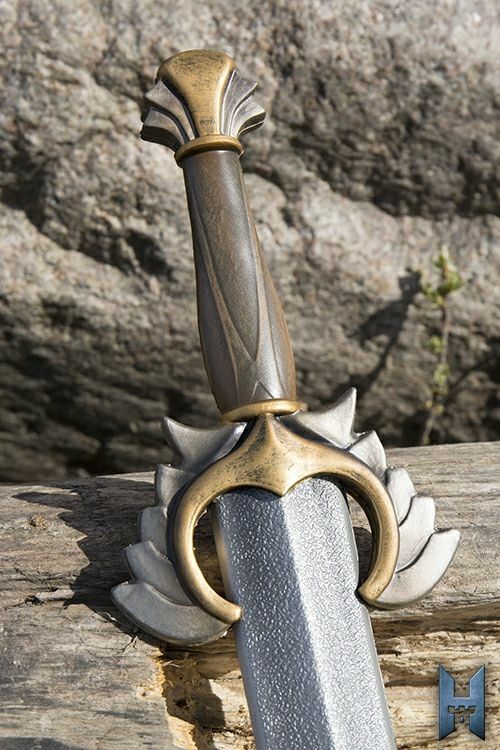 This Stronghold blade is crafted using a unique Epic Foam that weighs the same as latex without requiring the constant upkeep. Additionally, the blade tip is stab-proof thanks to our new innovative construction. Lightweight and shaped with a realistic and cushioned edge, this weapons is designed to be safe--leaving your friends unbruised and unbroken!